The most notable military relative in our family is a gentleman named Captain Lawrence Dade Greenlaw, who served in “The War,”or “the late great unpleasantness,” as southerners often refer to the Civil War. I recently discovered some material about this family military figure, a portrait of whom hangs in my living room in New Iberia, Louisiana. 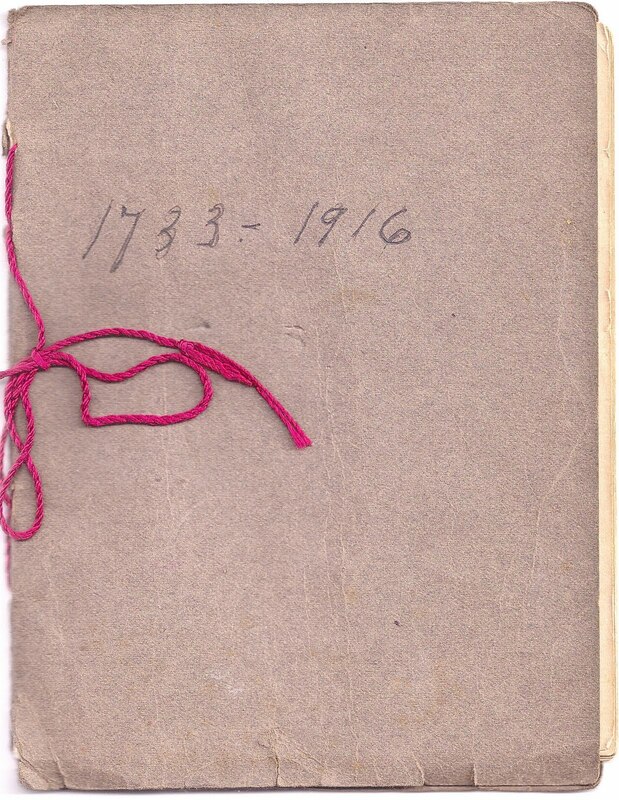 He was engaged in the Battle of Shiloh, and in a history written in my Great Grandmother’s hand, his military history has been revealed. I had already decided to write a novel featuring Great Grandfather Greenlaw when I returned to Tennessee this Spring and am planning a journey east to the Shiloh Military Park , near Savannah, Tennessee, only a three-hour drive from Sewanee. Great Grandfather’s ancestors came over in 1733 on a ship named MacBeth which had disembarked from Scotland bound for the Virginia coasts. He settled on a tract of land near the Rappahannock River in the County of King George in Virginia. William Greenlaw, his son and my great-grandfather’s grandfather, had fourteen children after he married a “Miss Underwood” (none of the women in the autobiography, copied in my Great-Grandmother Greenlaw’s handwriting, have first names!) who was then sixteen. “She departed this life at the age of thirty-six,” Great Grandfather wrote. Well, I reckon so, after all that begetting! It’s interesting to read some of the letters dispatched from the Virginia Military Institute to Great Grandfather’s guardian about his training at the Institute where he spent three years preparing for a military career. He seems to have accumulated many demerits for conduct, and this is a fact that none of my Greenlaw relatives have ever mentioned. Nor does the correspondence reveal just what his misdemeanors were. 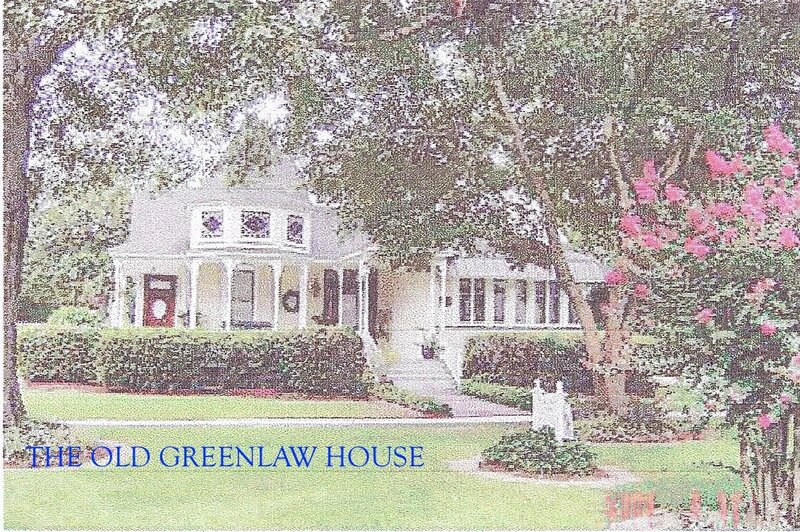 I might add that Greenlaws are noted for their humor and mischievous nature. However, I figure that he was just peripatetic because after leaving VMI, he set out for Texas in 1860 at the age of twenty. He stopped in Memphis, Tennessee, traveled over to Arkansas where he supervised railroad construction, then returned to Memphis, and when The War Between the States broke out in April, 1861, he joined a company of Irishmen entering the Army of Tennessee Volunteers. Great Grandfather’s military career reads like the story of a Virginia farm boy who went off to war to engage in battles about a misguided war effort, and he says that he returned to Memphis, Tennessee to a “despoiled South.” Eventually he moved to Sardis, Mississippi, then to Hazlehurst where he took up the photography profession. He is buried in Franklinton, Louisiana, my birthplace, and where my great-grandmother Dora Runnels Greenlaw, died the night I was born. 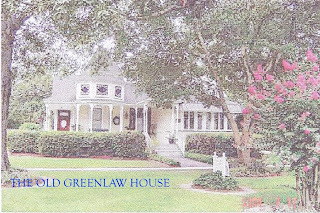 She’s the one who passed on her love of writing to me, but the Greenlaws were actually the literary lions in the family, Edwin Greenlaw being a distant cousin who became the mentor and teacher of Thomas Wolfe when Wolfe attended the University of North Carolina. I don’t now how else to recognize this former Confederate soldier, misguided as he may have been about the purpose of this “late great unpleasantness,” except to give him some respect that he may not have achieved for his service in the Civil War. The Greenlaw men have been gentle, and when I found Great Grandfather’s sword in the attic of the old Greenlaw home as a child, I couldn’t believe that he had been engaged in battle campaigns. I have begun a novel, entitled “Redemption,” in which he is a major character, and I salute Captain Lawrence Dade Greenlaw on this Memorial Day, 2010, almost 150 years following the end of the Civil War. Although I live part of the year in Louisiana now and spend a larger part on The Mountain at Sewanee, Tennessee, I’ll never outlive my love of Louisiana. I was born in southeast Louisiana, but I lived year-round for over forty years in bayou country, the most idyllic area of Louisiana. The recent oil spill in the Gulf has affected me deeply. As I watched President Obama scoop up those little hard black balls consisting of oil and sand yesterday at Grand Isle, I thought about all the wildlife being destroyed, especially the brown pelican, the abundant salt water fish—delicious speckled trout and red fish—and oyster beds that will be affected by the pools of oil infiltrating the Gulf waters. And what will happen to my native state’s seafood industry? After all, most people travel to Louisiana to taste Louisiana’s wonderful cuisine and to enjoy the beautiful natural scenery of the lowlands. Memories of visits to the Isle assail me. I recall traveling on several occasions to Grand Isle, inspired by a reading of THE AWAKENING by Kate Chopin, the author who summered on the Isle. I also had a yen to travel to the lowest point of Louisiana for a camp-out. Grand Isle, located at the mouth of the Bay of Barataria (Lafitte the Pirate’s favorite haunt) is a breakwater between the Gulf of Mexico and numerous inland channels that weave through bayous of the mighty Mississippi. Fishermen cast their nets for shrimp and “farm” the oyster reefs in the Gulf waters. The town of Grand Isle has been pummeled by numerous hurricanes, at least ten of which have been severe, and which, at times, nearly decimated the population that resides on the seven square mile island. When we made our famous camping trip to the area, our party consisted of two adults and two pre-teen agers. We felt as though we were traveling to the end of the world when we got to Larose, then turned south onto LA 1, and once we reached our destination at Grand Isle State Park, our vision of it as an end-of-the-line place deepened. It was a lonely looking, almost-deserted beach over which a gray sky hovered. We made the trip during the 70’s, not long after Hurricane Betsy had destroyed the camp of my Vincent relatives and put an end to their fishing paradise, and I found that the beach was unlike the white sands of Florida that I had visited most of my life. However, we unloaded the tents, and by the time we had put up two small tents on the not-so-pristine beach, rain had begun to fall. We hadn’t anticipated the long drive and had arrived near sundown. Gulls swooped overhead as we anchored the flimsy tents. They seemed to be laughing at our foolhardiness. We went to bed hungry, unwilling to return to the car for the food we had packed. There we were, perched on this dark, barren barrier island in a hard rain, wind gusting around and under our fragile tents all night. At daybreak, we ran for the car, an early Honda Accord I owned, and promptly sank into the sand when I started up the engine. No one came out of the park to help us, and I almost destroyed the motor of my Honda, revving it and accelerating back and forth to move it out of the sinking sand. However, with a last surge of effort, we managed to emerge from the beach and head toward town where curious natives eyed us, in typical xenophobic fashion, from the porches of cabins built on stilts at the edge of the town. We sped toward a shack-like restaurant constructed of old cypress to eat breakfast. We hadn’t bathed in the surf or bird watched or fished on the “Old Fishing Bridge” for croaker or trout. We had only slept in soggy tents at the edge of the Gulf of Mexico. By seven a.m., we had exited the town of Grand Isle with its 1500 inhabitants, again in a heavy rain, (I read today’s weather report for Grand Isle and found that heavy rainfall is predicted—nothing new under the sun or NOT under the sun!) headed for Larose and civilization. As I look back on this foolhardy visit to Grand Isle, I wonder why we persisted in spending the night, but, my sense of adventure must have been stronger during the 70’s than it is now. A few years ago I did revisit Grand Isle and enjoyed bird watching near the lagoons of the State Park where I was able to appreciate the natural beauty of the area. Grand Isle is often referred to as “The Cajun Riviera” and attracts tourists as well as deep sea fishermen, particularly during the annual Tarpon Rodeo when thousands of fishermen invade the town. The surf in the Grand Isle State Park offers swimmers a dip in the Gulf of Mexico and birders love the birdlife—pelicans, gulls, terns, herons, and egrets, to name a few. Terrapins, sometimes weighing 500 pounds, once abounded in the Gulf waters near the Island; they were caught and kept in pens similar to hog pens until the fishermen sent them to market. Underneath those Gulf waters bordering the Isle are the rich resources that may cause the demise of Grand Isle—petroleum and natural gas. Actually, there is another unpopulated barrier island, further east of Grand Isle, that is called Last Island, the population and buildings of which were totally destroyed during a 19th century hurricane, and as the television images of the disturbance in the Gulf flash across the screen, I wonder if not only Grand Isle but the state of Louisiana will become the “last island” in the Gulf of Mexico. As a native Louisianan, I’ve been deeply dismayed about the oil spill in the Gulf. Although I’m presently doing my half-year sojourn on The Mountain at Sewanee, I keep up with the daily news regarding the methods presented to rid the Gulf waters and marshes of oil deposits. Today, I received an e-mail with an attachment that presented a simple solution to this problem. Here's the link: www.wimp.com/solutionoil. It was proposed by two good ole southern boys. I don’t know whether the idea is a spoof or an idea for serious consideration, but I was fascinated with the demonstration given by the good ole boys. Two men, one of whom was dressed in overalls, appeared in the demonstration. On a table they had placed two basins filled with clear water into which they poured dark oil. Then they took handfuls of hay and stirred them into the oily water. After a few moments of stirring, the man in overalls scooped out the hay, and the oil adhered to it, leaving the water clean. The good ole boys explained that hay spread over Gulf waters would absorb the oil spill, and the saturated hay would drift toward beaches and marshes where it could be scooped up by machines. Sounds simple, doesn’t it? As I said, I don’t know whether the idea is a spoof or is valid, but it appears to me that the answers to most problems are just as simple as the good ole boys’ solution. Consider the problem of marking your place in a book without the bookmark slipping out. A man named Spencer Silver, who was employed by 3-M Research Labs, was trying to find a stronger adhesive and developed weak glue instead. The weak adhesive stuck to things but it could be lifted off. No one knew what to do with it, but one day another scientist named Arthur Fry, while singing in the church choir, used a bookmarker for his hymnal, and remembered Silver’s adhesive. He decided to coat his markers with the weak glue. The markers kept his place and could be lifted off without tearing the pages of his hymnal. Voila! Post-its! What about the problem of finding a better method of fastening shoes and the solution of "Velcro?" While hiking one day with his dog through a field of bur plants, a Swiss naturalist, George de Mestral , returned home covered with burs. Mestral examined the burs that had stuck to his trousers under a microscope and discovered many small hooks that enabled the bur to cling to loops in the fabric of his trousers. After examining the bur thoroughly, he conceived the idea of a two-sided fastener, one side with stiff hooks like the burs and the other side with loops like the fabric in his trousers. He decided to call the invention "Velcro" (Velour and crochet combined), and the intention of the inventor was to rival the zipper with his fastener. It has actually caused a revolution in shoe fasteners—out with shoe strings, in with burs. In the food world, the problem of raw meat as table fare once existed; that is, until the Chinese accidentally discovered how to roast pig and solved the problem of waning appetite. According to Charles Lamb in his “Dissertation Upon Roast Pig ,” the first seventy thousand years, man ate raw meat. One day in China, Ho’Ti went into the woods and left his son, Bo-Bo, in charge of taking care of their home. Bo-Bo loved to play with fire and while doing so, a spark escaped into straw, and the house and a litter of farrowed pigs burned up. Bo-Bo was wringing his hands over his misfortune when he detected a delicious scent and bent down to see if it emanated from the pig. He touched the pig to see if it was still alive and crumbs of scorched pig skin came away on his fingers. He sampled it and voila! Cracklings! Roast pig! Cochon de lait, as we say in Cajun country! An accidental invention of delicious food had occurred. Roasting a pig on a spit followed a century later. So, the problem of what to eat for dinner was solved by a simple house fire. Of course, this is also an example of learning to do something the hard way. But, then, the Chinese symbol for the word “crisis” is written as “opportunity,” so everything always works out for the best, right? Well, that’s a far-out example of man’s accidental inventiveness, despite his lack of intention and creativity, but Charles Lamb did present a good ending to the story of a house fire. And this simple tome about a better method of solving problems could go on and on, but accidental or intentional, solutions are constantly occurring, and I’ve learned that AHA! moments abound in the universe. They often emerge from disparate sources, and even good ole southern boys can be the fathers of invention. So don’t dismiss the hay idea until it has been proven invalid! Who knows, the oil barons may come upon it while scanning the internet and suddenly claim the solution as one of their brilliant AHA! moments. Last week while visiting North Carolina with my daughter Stephanie and her husband Brad, we encountered two “whistle pigs,” (so-called because they make a shrill whistliing noise) or groundhogs, on the highway curving along the Nantahala River and, later, near Cherokee, North Carolina. Stephanie, who loves animals and makes clucking noises to call them to her, glimpsed the groundhogs and was unable to get out and capture the animal’s attention from a car window as we sped by. The appearance of these whistle pigs reminds me of the infamous nutria that abound in Louisiana and that were featured in a recent article by Laura Parker on the internet. Parker speculated about whether this creature would disappear due to the Gulf oil spill. However, according to those residents who live near the coastlands, chances are that these brackish marshes and wetlands vegetarians will continue to eat away at the 100,000 acres of coastal wetlands. Although the nutria were introduced from South America to California back in 1899, E.A. McIlhenny of Avery Island and Tabasco fame became the third farmer to bring the “coypu” to Louisiana, and by the 70’s, over twenty million of the water rats had begun destroying the root system that holds the marshes together. They graze and strip away large parcels of marshlands and have also deterred the planting of Louisiana bald cypress trees, rapidly eating new seedlings as fast as they're planted. Back in the 70’s, my former husband, a petroleum engineer, decided to take up the sport of trapping nutria. He befriended an old Cajun trapper and learned how to construct nutria traps, and on week-ends, armed with maps, he’d set out in a green aluminum Joe boat to help rid the Louisiana marshes of this unpopular water rat. During one foray, he became lost in the swamp and had to drag the Joe boat overland, arriving home at dawn on a Sunday, sans nutria and boat motor. At the time he was entertaining himself trapping nutria, he garnered enough pelts to pay for gas and pack lunches, but when he contracted an infection from nutria while skinningthem, he gave up trapping and took up frogging as an alternative hobby. He was always threatening to feed us nutria meat, which happens to be high in protein and low in fat, but the thought of eating an oversized rat repulsed me and my two daughters. I might add that he never tasted his catch either. 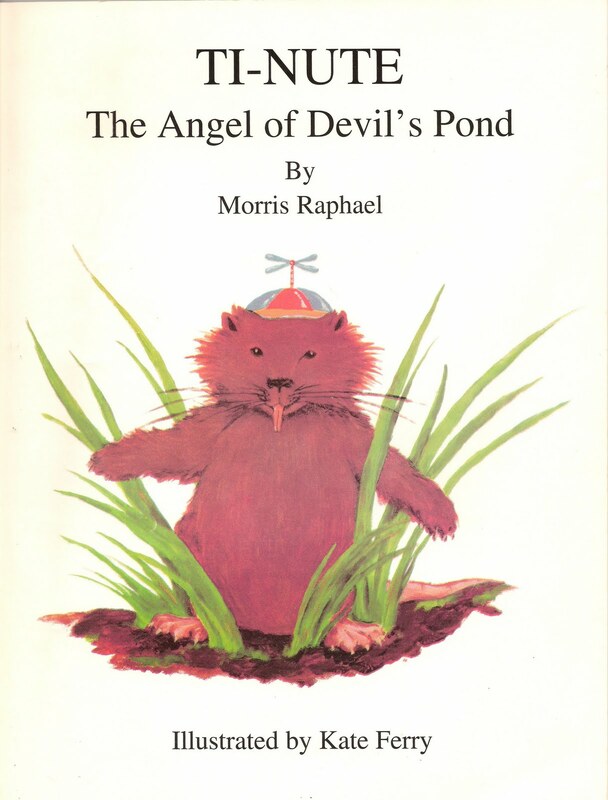 Several years ago, my good friend Morris Raphael, wrote a children’s book about Ti-Nute, a water rat who lived in Devil’s Pond in City Park, New Iberia, Louisiana. Morris created a kinder treatment of this semi-aquatic rodent, and Kate Ferry’s wonderful illustrations depict a smiling animal with a beanie cap on its head that gives readers the impression the nutria is an amiable creature. The only way I think Louisiana will control the population of nutria is by introducing more alligators since nutria are a preferred dish for ‘gators, but then we’d have a problem with alligators! One good result from the introduction of nutria to Louisiana was that the animals controlled water hyacinths and alligator weeds. However, success was short-lived because nutria also began to invade and cause damage to two major Louisiana crops—sugarcane and rice. Unlike whistle pigs, nutria can’t be socialized, and I hope when Stephanie returns to Louisiana, she won’t cluck to these water rats because they resemble the whistle pigs we saw in North Carolina. Coastland residents predict the nutria will survive the oil spill and will escape upriver to create more damage. 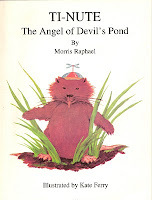 Note: The illustration of Ti-Nute by Kate Ferry is on the cover of Morris Raphael’s children’s book, TI-NUTE, THE ANGEL OF DEVIL’S POND. This morning was no exception, and in the darkness, I thought of a passage from FRUITS OF THE SPIRIT by Evelyn Underhill , my favorite spiritual writer. 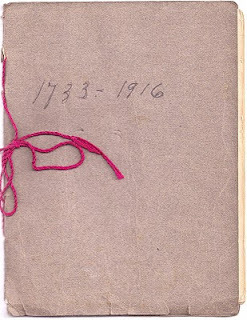 In my morning stupor, I couldn’t recall the words and began a frantic search throughout the semi-dark house for the exact passage in this book that my Godmother Dora gave to me on the occasion of my first visit with her in 1963. I remember her sitting in the middle of her high tester bed and reading passages aloud to me from this Anglican mystic and the excitement the writer engendered in me. The binding on my FRUITS OF THE SPIRIT is coming away from the spine and pages are colorful with aqua and yellow marks from highlighters and covered with asterisks, parentheses, and other interesting margin notes. Reading these pages at 5:30 a.m. lifted my pre-dawn dim-wittedness. I finally found the passage in which Underhill tells us that there is always a night shift and sooner or later we are put on it. She refers to the praying we’re to do during the spiritual night, which includes early morning before first light. The passage stayed with me on the short trip to the convent and throughout the Eucharist while rain pinged on the roof of the chapel and wind at the bluff’s edge roared under the eaves. 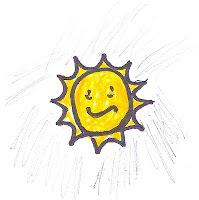 By the time the service ended and we went into the refectory to eat biscuits, scrambled eggs, coffee cake, jam, tea, coffee, and juice, I was wholly awake and the sun had come out. I was glad that I had risen in the darkness to enter into the spiritual rhythm of the morning…yet I confess that I know I’m not suited to the life of the Sisters because I couldn’t heed this pre-dawn reveille daily. On this day, Rogation Day, I thought mightily about the farmers who rise before dawn and begin their work in the fields, not to mention newspaper carriers, donut shop owners, garbage collectors, and people who must commute miles to reach their businesses. I admitted to myself that I was quite happy to be a retired person looking forward to rising at 7 a.m. tomorrow, leaving the night shift to the Benedictines, Carthusians, and the Sisters of St. Mary’s Convent… all those who have better quality of will than this not-so-early riser! 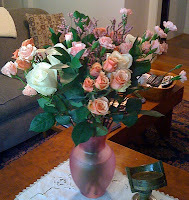 There it is–the symbol of Mother’s Day–a bouquet of pink and white roses, pink carnations and fern in a transparent pink vase sitting on the Creole table in the living room. The bouquet was sent to me by Daughter #2 and joined two pale green cards (and what prescience prompted both daughters to send the same color card?) from my daughters, Stephanie and Elizabeth. The cards carried messages like: “For a woman who is admired for so many reasons,” and “you helped me become the best person I can be,” and were acknowledgements of my mothering. 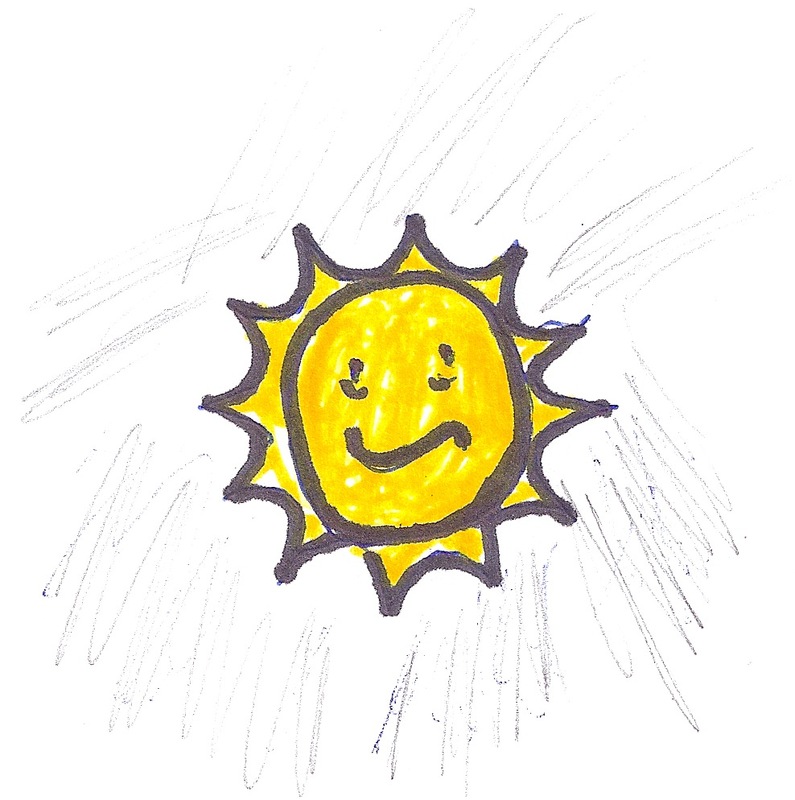 Mawkish, no–heartwarming, yes! Mothering, as most of us know, is a chancey thing. We often doubt that we’re doing the right thing for those entrusted to us to take care of and love. However, we love beyond the doubts, and most mothers I know do the best they can by their offspring. I once preached a sermon in which I talked about how we let moments that are important slip away and later regret it. Thornton Wilder made this point in his play, “Our Town,” through a character named Emily who has died and wants to go back to life for a day. Emily is granted her wish to go back and chooses her twelfth birthday. 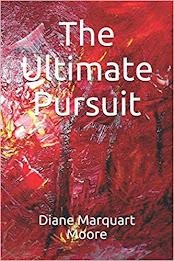 But that event is filled with pain, the pain of seeing that the daily meaning of life is important and that meaning is little realized while it is going on. Emily speaks into the past that cannot hear her. “Oh, Mother just look at me one minute as though you really saw me. Oh, it goes too fast. We don’t have time to look at one another. I didn’t realize…all that was going on and we never noticed.” She’s speaking, of course, of the small miracles of living everyday life–a life filled with faith, love, and hope. In Emily’s case, when she was alive she was unwilling to see and celebrate it. "You’ve got to catch it between the lines; you’ve got to over-hear it,” Wilder’s character says. And if we listen closely enough, what we over-hear is how much both children and mothers need and want sustaining love. C. S. Lewis has said that to love…is to be vulnerable. “Love anything and your heart will certainly be wrung out and possibly be broken. If you want to make sure of keeping it intact, you have to give your heart to no one, not even to an animal. Wrap it carefully around with hobbies and little luxuries, avoid all entanglements, lock it up safe in the casket of your selfishness. But in that casket–safe, dark, motionless, airless, it will change. It will become unbreakable, impenetrable and irredeemable.” Mothers seem to know all of that instinctively, and most of them embody the opposite of that security-loving person with a casket heart that Lewis describes. Instead, they model the word “kalos” which means loveliness, kindness and sympathy. In an anecdote about southern womanhood, the ferocity and protective qualities of mothers are described aptly. A friend of a certain Senator Williams was asked why the rebel army had continued to fight when they knew defeat was certain. And Williams replied that the Rebs were simply afraid to quit and go home because of the women…who weren’t quitters and would have been willing to die for their children. So, today is the day to celebrate the good shepherdesses who guard the home for those who come in and go out, those who provide a reservoir of love and are the true centers of home life. 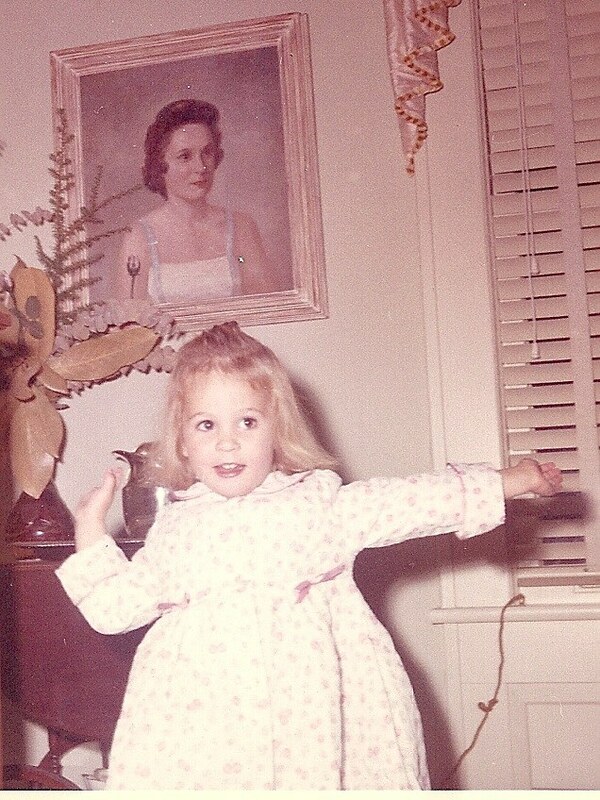 I salute my daughters for remembering me with such caringness, and I celebrate and appreciate their “daughtering,” as well as their own mothering. Thanks for the pale green cards with the wonderful sentiments and Happy Mothers’ Day to two precious offspring! 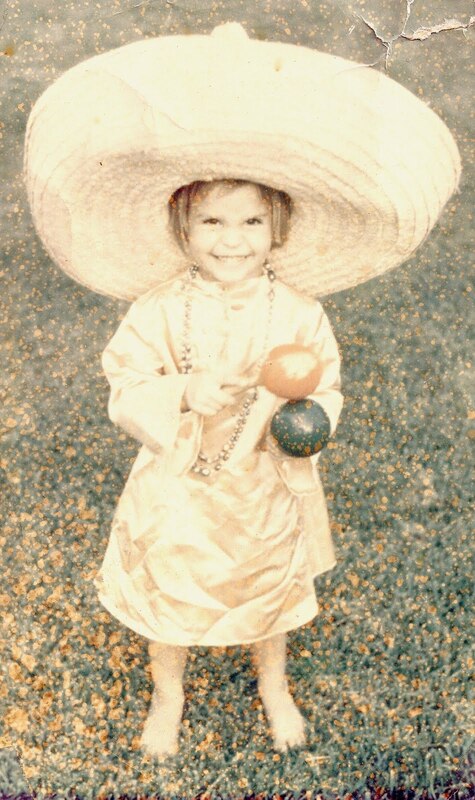 Note: The child in the bathrobe is Stephanie, and the one in the sombrero is Elizabeth, ages three and two, respectively. 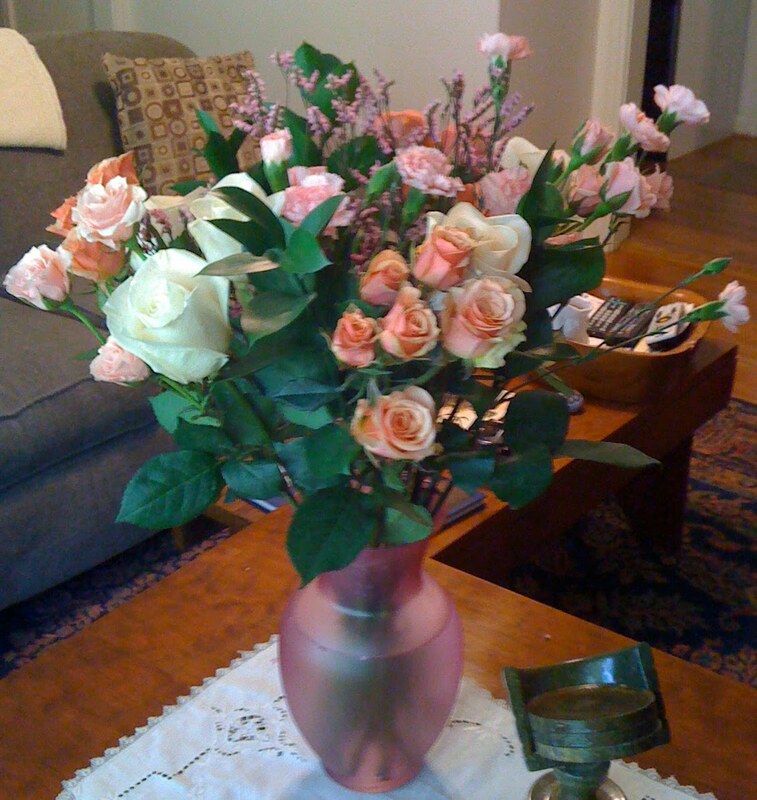 Photo of bouquet by Victoria I. Sullivan. There are times when you wish that you carried a camera with you everywhere. Those times are called “missed photo opportunities,” and I experienced that loss Sunday. I’m attempting to retain the image I wanted to photograph by writing about it. Sunday, I preached at St. Mary’s chapel on the bluff and following that service, I went further down the mountain to Grace Fellowship church, a non-denominational congregation of approximately twenty worshippers who are Christian but not affiliated with any mainstream church. I went there to preach another sermon, accompanied by Srs. Elizabeth and Mary Zita, two of the Anglican nuns who belong to the Order of St. Mary here at Sewanee. Mary Zita, a Filipino nun who first served with the sisters at an orphanage in Banga-an in the Philippines, wore a straw hat that could only have been exported from the Philippines and was dressed in her typically-layered clothing—blouse, blue jacket, and shawl—despite the warm temps. When we drove up to the concrete block chapel with a traditionally Anglican red door, I noticed a small bell tower, bell and rope attached, beside the entrance and was told that it was Mary Zita’s job to ring the bell for church to commence. This was the missed photo op–a picture of a tiny, frail nun who doesn’t tell her age but who must have passed the age of seventy, pulling vigorously on a rope at least a dozen times, grinning with each pull. It was a sight that caused a lump in my throat because I remembered last year when she was unable to walk due to loss of balance, dizziness, and strength to manage her usual gardening duties–she’s the world’s champion leaf raker and weed puller and loves the outdoors. Nowadays, she walks with the aid of a walker or someone’s arm, and I was amazed that she had the strength to make that bell swing and peal so loudly. She beamed with pride each time the bell rang, and I prayed that she wouldn’t be pulled up by the rope on the upswing. Sr. Mary Zita sits in front of me during chapel services, and I always resist the impulse to put my hands on her shoulders and encircle her with prayer, but she is a devoted worshipper, and doesn’t want to be disturbed as she follows the worship in the Book of Common Prayer intently, using her finger to follow the lines and saying the words in English. Otherwise, I’ve never heard her converse in English. She’s a joyful nun, always meeting people with a wide smile, and when she shakes hands at the Peace, she pumps it up and down in the same fashion as she does when she operates that bell at Grace Fellowship. 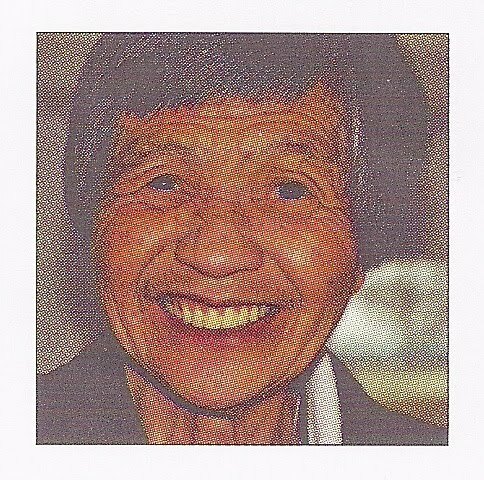 Mary Zita has been a sister for over fifty years, and in 1992 she was transferred to Sewanee from the Philippines where she ran an orphanage. 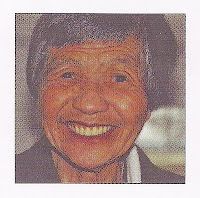 She served at the House of Prayer in Los Angeles four years before coming to the convent at Sewanee. The beautiful flower arrangements throughout the convent are her specialty, but like Brother Lawrence, she has more mundane duties in the kitchen and dining room. Once, when I was invited to stay for dinner and thought I was being helpful by stacking the dishwasher in the kitchen, Sr. Mary Zita walked up and began taking the dishes out of the washer and plunging them into soapy water in the sink. I had committed the faux paus of assuming duties assigned to her! The Community of St. Mary at Sewanee can be traced to the Memphis order of St. Mary, and the Sisters formerly ran a girls’ school in Sewanee which closed in 1968. The site of the school is now a renowned retreat center located on a bluff where group and individual retreats take place, along with workshops, contemplative prayer sessions, and other spiritual activities. St. Mary’s on The Mountain was actually dedicated in 1888 and began serving Tennessee mountaineers who were part of three million people living in the Appalachian Mountains. According to TEN DECADES OF PRAISE by Sr. Mary Hilary, these people were proud and reserved, honest and independent, lived in windowless one-room cabins and eked out a living on mountain slopes or distilled corn whiskey. When the Sisters arrived for their first summer, they discovered that the mountaineers regarded them as heathens who worshipped an idol. The so-called idol was discovered to be their large brass altar cross. “It was the first of many instances which demonstrated how the mountaineers had passed down the rudiments of a Biblical religion, despite illiteracy,” Sr. Hilary writes. However, the Sisters persisted and when the dedication of St. Mary’s on the Mountain on the Feast of Transfiguration took place, people came from cove and cabin for twenty miles surrounding the convent to acknowledge their work and to worship with them. Today, the Sisters have expanded their order to include transferring Sisters of Charity and Sr. Madeleine Mary, and are joined by four hundred associates, and seven oblates, who are a part of this sacred community on a bluff overlooking the Cumberland Valley. The Sisters say the Office according to the Book of Common Prayer four times daily and serve breakfast following services to those who attend every day except Wednesday.